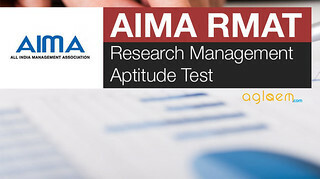 AIMA RMAT December 2018 is the Research Management Aptitude Test. The AIMA RMAT 2018 is organized by AIMA in association with Aligarh Muslim University (AMU) for Ph.D. Business Administration. All India Management Association (AIMA) along with AMU conducted this exam on December 15, 2018. Aspiring candidates must appear in the Research Management Aptitude Test and qualify by obtaining more than cut off marks. Get here complete details of AIMA RMAT December 2018 such as application form, admit card, exam pattern, and other information. Latest: AIMA RMAT December 2018 result has been released, scroll down to check the same. AIMA and AMU Joint Ph.D. programme is aimed at providing formal training to budding faculty and working managers, with an inclination for academics, teaching research. It helps in the development of skills and competencies based on a sound understanding of the principles of management and methods of conducting research with scientific rigour. 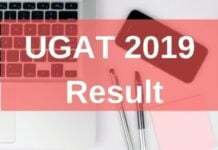 Schedule for the Research Management Aptitude Test (RMAT) December 2018 is listed here. The result of Research Management Aptitude Test has been declared by AIMA. After the successful completion of the examinations, the list of selected candidates for the interview process has been announced. Candidates can check their result either by visiting the official website or from the given link below. Result: Click here to check the list of shortlisted candidates for interview. Candidates can do online registration by filling the online application form available at AIMA’s website. The Direct Link to fill the same is also provided on our “Application Form” page. Candidates are to exercise sufficient care while furnishing the details. Recheck before submitting online as no editing is possible after submission. Before filling the application form, candidates must ensure their eligibility. 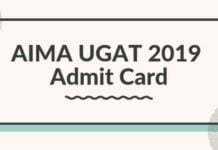 RMAT Admit Card has been available on the official website before the date of the test. Details of the examination are mentioned on the admit card like date, time and venue of the RMAT. No candidates will be allowed to appear in the examination. So, candidates are advised to bring the hard copy of their to admit card along with valid identity proof. The duration of the test is 90 minutes. There are 100 questions. All questions are compulsory. Each question has four options marked (1), (2), (3) and (4). All questions carry equal mark. There will be NO Negative Marking for wrong answers. All the questions and instructions of the test will be in English only. here is no time limit for individual parts of the test. The candidate can go back and change any of his/her answers among the 100 questions. Research Management Aptitude Test (RMAT) will be scheduled to be held in the month of December 15, 2018, at Ahmedabad, Bangalore, Chennai, Delhi, Hyderabad, Kolkata, Mumbai followed by an Interview at AIMA, New Delhi for RMAT shortlisted candidates. Part A – Basics of Management: Functions of managers in business organizations; Managerial skills and levels; Meaning Power and authority; Functions of human resource managers; Fundamentals of human resource management- recruitment, selection, training and appraisal; Functions of marketing managers; Concepts and components of marketing mix; Functions of finance mangers; Indian financial systems; Basic accounting concepts; Balance sheet and its components; Globalization of business; Functions of operations managers; Statistical quality control techniques; Inventory costs and simple models; Elements of business environment. Part B – Research Fundamentals and Aptitude: Decisional and research problems; Steps in research; Primary and secondary data;Types and properties of the four types of scales used for data collection; Population and sample; Types of sampling methods; Methods of data collection; Data interpretation; Types of variables; Logical reasoning; Research and teaching aptitude; Research ethics; Overview of higher education system in India. On completion of modules, the candidate shall appear in an examination, consisting of theory papers, to be conducted by AIMA-CME. Only those candidates shall be permitted to appear in the examination who have completed the assignments, etc. for the particular courses to the satisfaction of AIMA – CME. The candidates shall be required to obtain at least a C grade in each course separately and secure an overall B grade on a 4-point scale in the course work after the end of four modules failing which they will have to repeat the course(s) at the next examination. The candidate who successfully completes the foundation programme shall be awarded an ‘Advanced Diploma in Management’ by AIMA-CME. Aspiring candidate will be screened through a written test Research Management Aptitude Test (R-MAT) followed by an Interview at AIMA, New Delhi for RMAT shortlisted candidates. The entire programme will be conducted through face to face sessions and regular counseling by experts, external and internal guides. The self-contained multimedia course pack comprising of especially designed study guides, text books, reading material, assignments, etc. will be provided to each candidate. Personal Contact Session would also be provided at AIMA, Delhi during the Foundation Programme. Attendance at Personal Contact Session is compulsory and any exception needs special clearance of Research Committee. During the course work the candidate would be required to write an integrated case study and a research paper which would be treated as full course. If the above window does not load, Click here to View/ Download the RMAT Sample Paper. For More Details Regarding AIMA RMAT Dec 2018 – Download Information Brochure | Guidelines for AIMA RMAT Dec 2018.